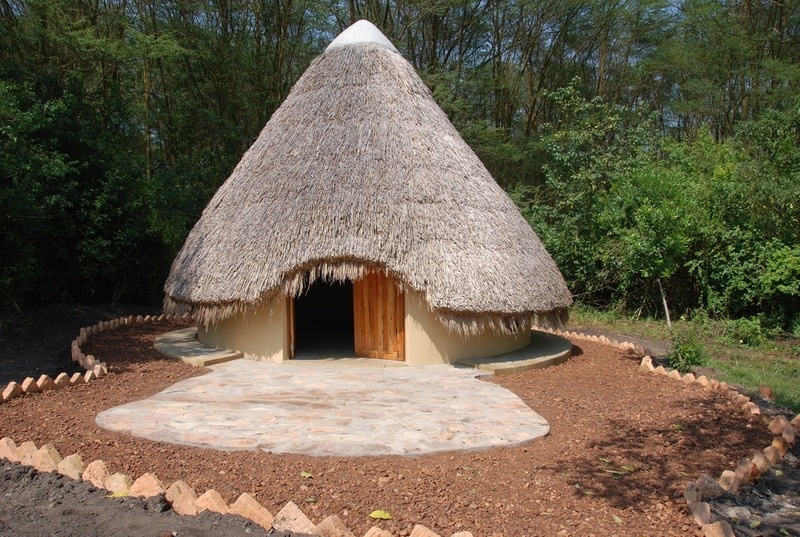 Enjojo Lodge is bordering the Ishasha sector of Queen Elisabeth Park. 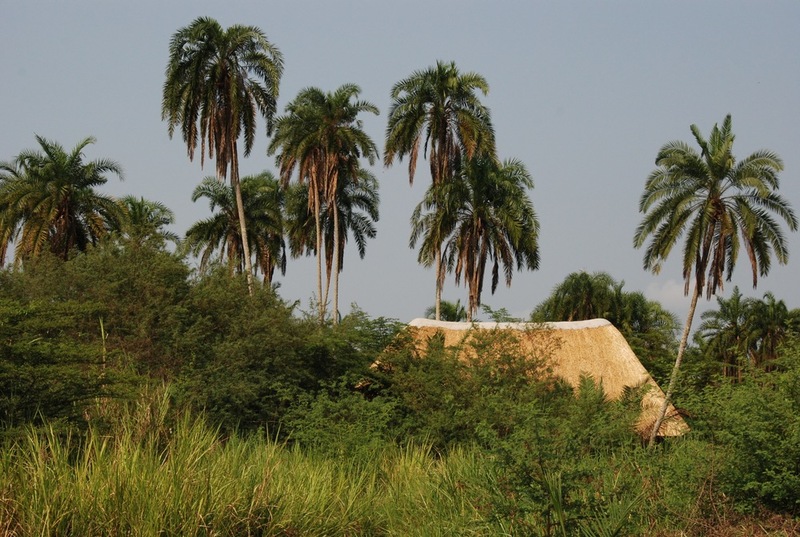 It is situated on 40 hectares amidst acacia forest, lush vegetation with palm trees and scattered grassland. Birdlife is abundant and herds of elephants, buffaloes and antelopes are regularly spotted on our land. Vervet monkeys, baboons and black and white colobus have become residents. We offer comfortable accommodation to suit all budgets. In the main lodge area we have 3 thatched cottages and one Safari House, allowing a total of 16 guests, contributing to a quiet and intimate retreat. The cottages are interlinked with an elevated wooden walkway, and each room has an en-suite bathroom and outdoor shower with hot and cold water. On the wide verandas, guests can relax and overlook the surrounding bush and savanna. Enjojo Safari House can be booked by families ar private groups of up to 7 guests and has its own little outdoor kitchen. 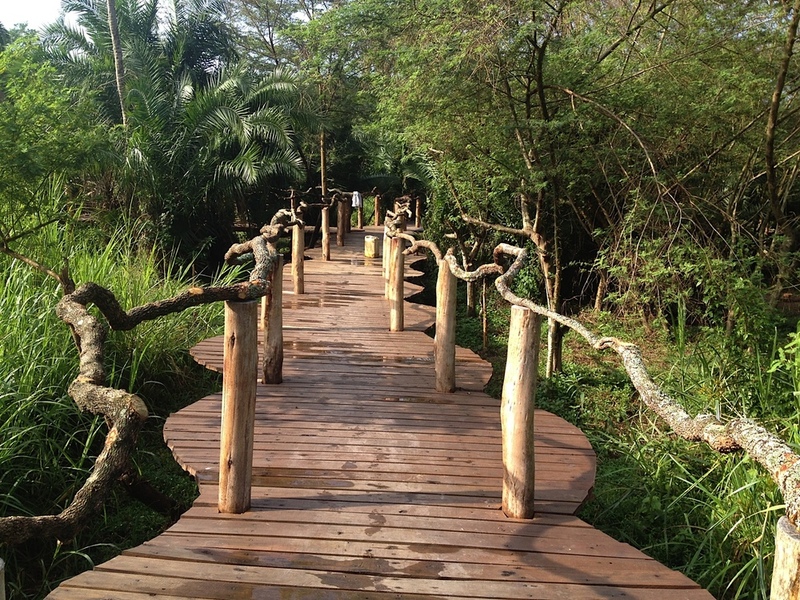 Our land is big enough to take you on a guided walking safari on the grounds of the lodge. We can also arrange for game drives in and outside Queen Elisabeth Park in our open roof safari vehicle. Bicycles are for rent for guests who want to discover the life of the local community approximately 3 km away from the lodge.